Network Kokoda is a not-for-profit organisation established to protect our wartime heritage along the Kokoda Trail and honour the legacy of Papua New Guinea’s Wartime Carriers. We have applied for tax-deductibility status and hope to have it approved early in the New Year. The organisation subscribes to the principles developed by the PNG Department of Community Development which, according to former Minister, Dame Carol Kidu, is based on local communities working together to develop sustainable initiatives which generate income to invest in their future. Network Kokoda is registered in Australia and Papua New Guinea. The Australian body is chaired by Brigadier Phil McNamara AM (RL). The Executive Officer is Lieutenant Colonel Rowan Tracey (RL). Both served as officers with the Pacific Islands Regiment during their army careers and are fluent in Tok Pisin. The PNG body is chaired by Major Charlie Lynn (RL). The Board of Directors includes Dame Carol Kidu, former Minister for Community Development; Brigadier Ken Noga, former Chief of the PNG Defence Force and High Commissioner to Australia; and Marianna Ellingson, Secretary to the Office of Tourism, Arts and Culture. 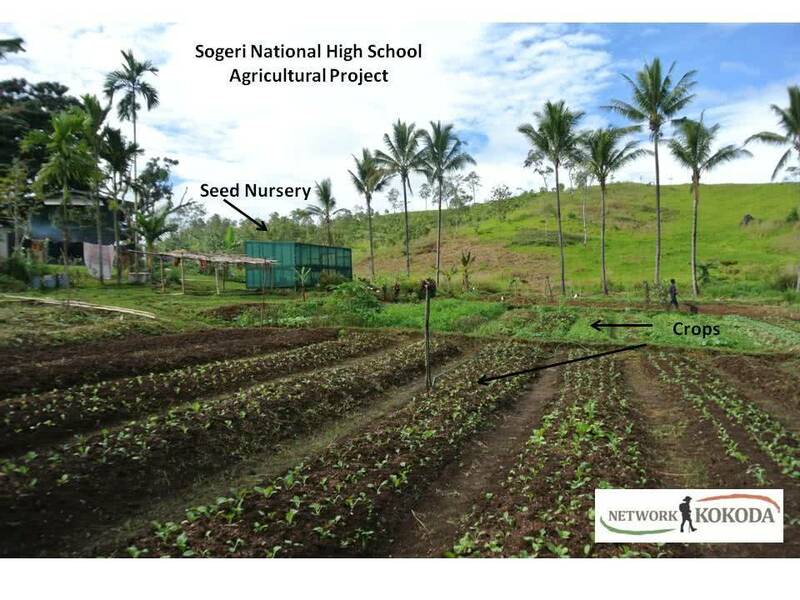 Network Kokoda engaged the services of Mr Sandy Lawson BSc (Agric) as a consultant to engage local community leaders in the Sogeri area and report on the proposal to develop Agricultural Learning Development Centres in the area. Mr Lawson has more than 25 years experience in agriculture in PNG and is fluent in both Motu and Tok Pisin. 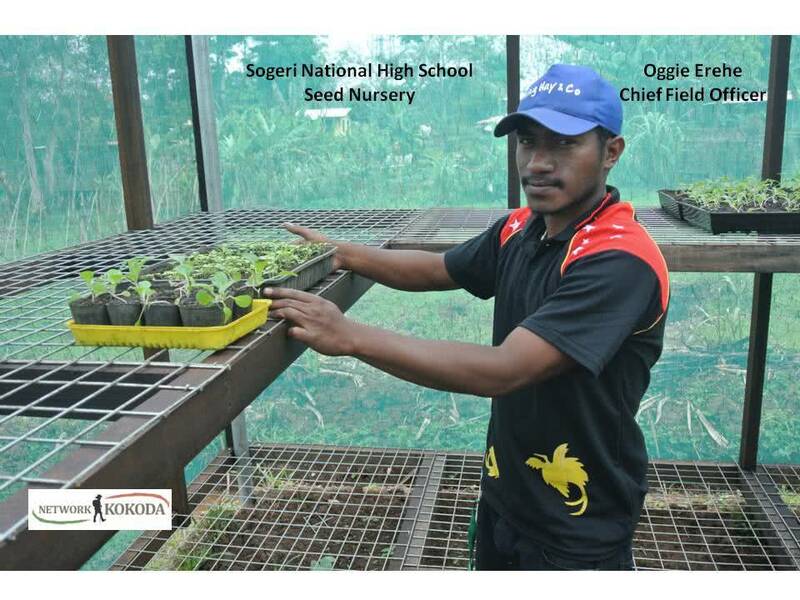 As a result of Mr Lawson’s recommendation Network Kokoda engaged a recent graduate of the Popondetta Agricultural College, Mr Oggie Erehe who was born in Kokoda and has a diploma in Tropical Agriculture from the University of Natural Resources and Environment in Popondetta. The major challenge in bringing communities together is encouraging local people, clans and communities to work together. This is the most difficult phase and involves much discussion, many meetings, mutual obligations, partnerships and a path to local ownership. Network Kokoda is therefore establishing a program of Integrated Community Agricultural Learning Centres on the Sogeri plateau. The program involves a series of carefully structured workshops and activities designed for high impact within chosen target production groups. Two experimental groups were initially selected to trial the process and fine-tune the techniques. By such an integrated learning approach we sought to enhance the ability of participants to cooperate with each other for mutual benefit. The aim of the project is to produce more knowledgeable and ’emancipated’ farmers capable of making their own farming decisions about their own commercial activities. The learning is therefore sustainable and ongoing, and not dependent on a continuous intensive input from an agriculturalist. Work with the schools is designed to awaken the students to the possibilities of agriculture as an enterprise and a means of making a good living, rather than something that grandparents and parents used to do, and not something that modern young people do. 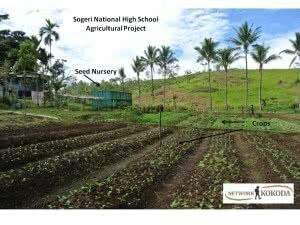 Network Kokoda established its first partnership with the Sogeri National High School in 2011. The Headmaster, Mr Benny Rayappan, agreed to provide accommodation for the Network Kokoda Field Officer, Mr Oggie Erehe, and three hectares of land for a market garden. The market garden has now been operating for 12 months and provides fresh produce for more than 400 boarding students. It also acts as a ‘magnet’ for the community who are also provided with fresh produce provided they agree to work in the garden on a voluntary basis. We have since established a partnership with Iarowari High School. The Headmaster, Mr Andrew Moava, advised that the school’s vision for agriculture is to ‘Instil in students the appropriate knowledge and skills in agriculture so they become competent, productive and self-reliant citizens’. Mr Moava has developed a corporate plan to have Iarowari High School transformed into an agricultural college within five years. Network Kokoda will be a key partner in assisting with this transformation. In general there are some individual farmers who are intensively carrying out family projects which is a way forward for some members of a community to take as an example. With the input of Network Kokoda, people are realising the importance of a sustainable, self-reliant livelihood based on an integrated agriculture farming system. Our main focus within the next month is to monitor the progress of the actively involved community groups on how well they are performing; in this course they are able to identify their strengths and weaknesses, to understand the importance of decision making, know the different management practices involved and what risks are to be taken in order to be a successful farming community. It will be a slow process over time and hence will be effective only with patience and commitment towards each community due to the fact that everyone has different views and opinions. The difference will be made by those who had taken ownership of the available resource they possess and are willing to exploit. For communities such as Kailaki and Magere, they have set up their farming committee therefore we will be committing ourselves to assist them meet their objectives. We will be using them as examples toward the other communities. There will be a few recommendations for project assistance to the Network Kokoda management on behalf of necessary community groups’. 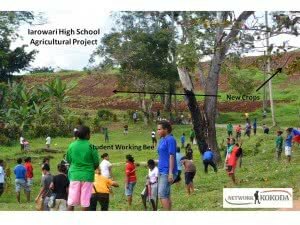 The Sogeri and Iarowari High School market gardens act as a ‘showcase’ to introduce local villagers to our outreach program. Network Kokoda advises those who wish to develop gardens in their own villages of their outreach program to assist them. The Chief Field Officer, Mr Oggie Erehe, facilitates village meetings and advises that Network Kokoda will provide a seed nursery, seedlings and technical advice. The villagers must provide land and local labour. Village Centres are areas when local villagers can meet, learn and work together on projects for their local benefit. Network Kokoda assist in the development of these centres by providing building materials, furniture and items (sewing machines, material for clothing, etc) which they identify in workshops with our Chief Field Officer. Network Kokoda has established partnerships with the PNG Department of Community Development; the Sogeri National High School; Iarowari High School and the Koiari Rugby League Association. Network Kokoda has provided funding for villagers from Abuari to build a local Community Learning Development Centre. The centre has eight sewing machines which are used to make ‘meri dresses’ for use in the village and to sell at the local market in Kokoda. The centre also has a large range of cooking pots which are used to prepare meals for trekkers, guides and carriers. The Koiari Rugby League Association has recently been re-established to provide an opportunity for young people to participate in their national sport. Their objective is to create an organised entitiy to organise, facilitate and develop the game of rugby league in the Koiari community. The Association is affiliated with the PNGRL. Network Kokoda has recently provided a donation of K6400 to support their selection trials for Central Province. The Association has agreed that local players will work in the garden projects at Sogeri and Iaowari High Schools and attend one class per week conducted by the Chief Field Officer. Network Kokoda has agreed to provide further support in upgrading facilities at their local field and to assist the eight local teams with sporting gear. This support will be conditional on their support to local agricultural projects. The recent expansion of the PNG economy has created significant opportunities for subsistence farmers on the Sogeri Plateau. 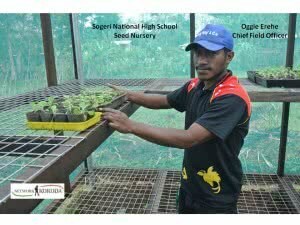 It also provides an opportunity for students at the Sogeri and Iarowari High Schools to consider agriculture as a career rather than as a subsistence necessity. With the positive support of both headmasters, Mr Benny Rayappan and Mr Andrew Moava and our Chief Field Officer, Mr Oggie Erehe, Network Kokoda has been able to assist in developing ‘showcase’ Agricultural Learning Development Centres to encourage students and local villagers to improve their knowledge work together in this field. We are grateful for the financial support we have received from the PNG Community Development Fund, our many Australian donors who have trekked across the Kokoda Trail and our foundation sponsor, Adventure Kokoda.